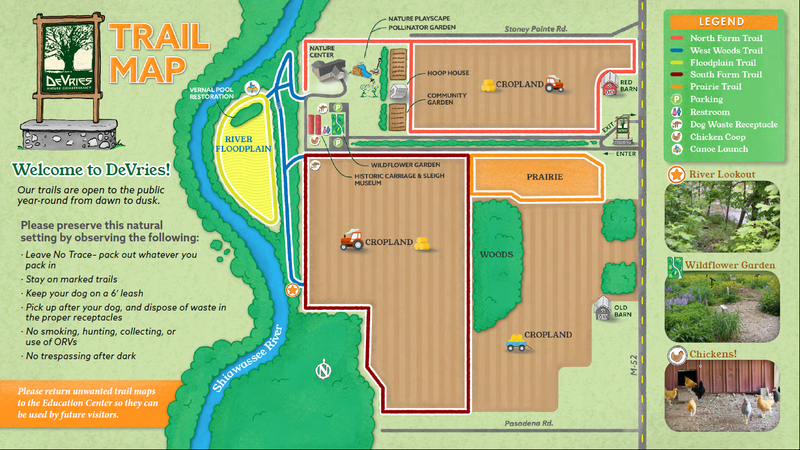 Trail maps are available in the parking area kiosk and the Nature Center. Check out lnt.org for more information on Leave No Trace principles and how to enjoy the outdoors responsibly. The Nature Playscape is located on the grassy slope northeast of the parking area, a short distance past the Nature Center. Suited for kids 3 to 12 years old, features include a digging pit, climbing wall, climbing tree and a zip line. The zip line has a strict weight limit of 100 pounds. Kids must be supervised by an adult while using the Playscape. Adults, please help kids to follow the posted rules and pick up after themselves. Return toys to the toy shed when done. Exceeding the zip line's weight limit can cause damage, which makes it less fun for everyone!